Did you know that anger is like fire? It starts with a spark, igniting us with energy and purpose. But it can also blaze out of control, causing lots of problems. 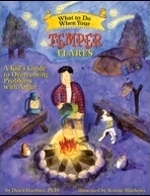 If you’re a kid whose temper quickly flares, a kid whose anger gets too big, too hot, too fast, this book is for you. What to Do When Your Temper Flares guides children and their parents through the cognitive-behavioral techniques used to treat problems with anger. 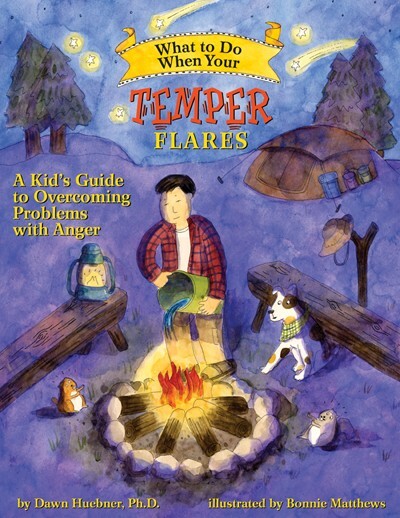 Engaging examples, lively illustrations, and step-by-step instructions teach children a set of “anger dousing” methods aimed at cooling angry thoughts and controlling angry actions, resulting in calmer, more effective kids. This interactive self-help book is the complete resource for educating, motivating, and empowering children to work toward change. Filled with the anger management strategies every child needs to know, this book covers in 12 highly appealing chapters what others have taken volumes to convey. A book that is immediately useful. Highly engaging and informative … a must read. Professionally sound and enormously helpful.